Vocal Coach & Life Success Coach to singers! I equip Savvy Singers like you to confidently step onstage and intentionally create compelling experiences & memorable moments for your audience while captivating them your authentic presence! Singing, while natural and fun is highly technical and without truly understanding the what, why, how and when of singing you’ll most likely never master your sound, signature style or vocal ease. I teach singers how to sing smart not hard by with my Savvy Singers Method. Here’s free copy of my Mindset Affects Vocal Growth eBook where I reveal how mindset can sabotage or boost your success! Frame of Mind: Singing to Achieve vs Singing to Avoid! Shelly-Ann Aqui, has been successfully coaching vocalists for almost two decades with 14 years as a choir director. 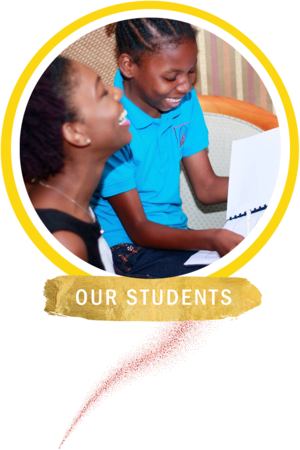 The principal Vocal and performance Coach of one of Trinidad & Tobago’s leading vocal academies, The PRVM Performing Arts Academy. Shelly is a trained vocal production & performance coach, Certified Vocal Style Specialist from Berklee College of Music. Certified life & professional coach (Fowler’s Institute), Confidence & Transformational coach (NLP) and Certified Digital Marketing specialist. She has added the disciplines of motivational speaking (motivating the masses), conflict resolution, team dynamics and leadership development (development Consulting Center) to her portfolio. Shelly has also been prominently featured locally, regionally and internally for her work as an Artist development Coach and business growth. She graduated from Success Mastery Business Academy- Orlando Florida, where she was honored with a global feature for her success. Shelly continues to employ these skills, coaching singers & producing local, regional and international Award Winners & Nominees. Among this portfolio includes, multiple Digicel rising stars winners, Marlin award winner & Prayze Factor People’s Choice Award nominations (Atlanta USA), just to name a few! She has coached & produced numerous recording artist, choir directors, worship leaders, professional background vocalists and Vocal Teachers with her Savvy Singers Coaching Method. She is sought after not only by singers and performing artists for your knowledge, experience, personality and professionalism but organizers of the prestigious Gospel Music Awards of Trinidad and Tobago and other local and regional competitions as a respected Judge. During her singing journey she felt stuck at various stages which lead to frustration leaving her stressed and doubtful about her singing abilities. … No more wasted time! Her Savvy Singers Method seamlessly and successfully walk singers through the five critical transition stages for vocal success! Shelly is known for her dynamic, inspirational, loving & learning centered teaching style. Guiding her students to a place where they sing well and live well. A natural nurturer, she has become a mentor and mother figure to many singers. Growing up the daughter of a pastor has influenced her primary goal of developing effective and impacting vocal ministers, equipping them to step on stage spiritually stable to confidently creating powerful experiences for their audiences with potency and focus while staying true to their authentic selves. It's our absolute pleasure to welcome you to our dynamic Singsational singing community! Welcome to PRVM's happy space! like this pop-up to appear on the page.